Metal Antique Car Replica car. It is Used For Home Decoration Table Top, Desktop & Other Places.Very Nice Condition. Perfect For any Metal Car Collection. Makes a great gift for any People. All Work Is Hand Made.Good Quality Product.A Best Gift For Collectors.This Item Is Used For Decoration. 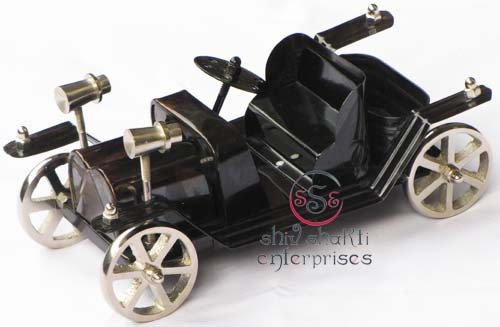 Decorative Car Collectible gift item & Home Decoration. 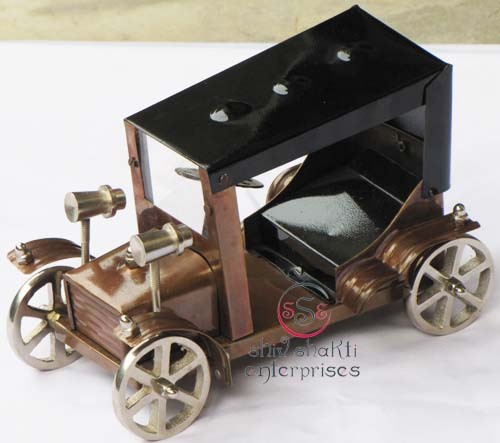 ﻿This car are exquisitely designed as per the prevailing trends in home decoration industry. We offer beautifully designed car and various other products to clienths. All work is hand made.It is a beautiful car for home decoration.